OMG als de lolligheid overneemt…. Tonight Lilian Vieira is a guest on the radio show Latin Life. She will present her solo album and during the show they will give away tickets for the tour! You can win tickets for either tomorrow, January 24 in Kroepoekfabriek Vlaardingen, January 31 in Duyker Hoofddorp, or February 8 in Paard van Troje Den Haag. So tune in tonight between 8- and 10pm via www.latinliferadio.nl. 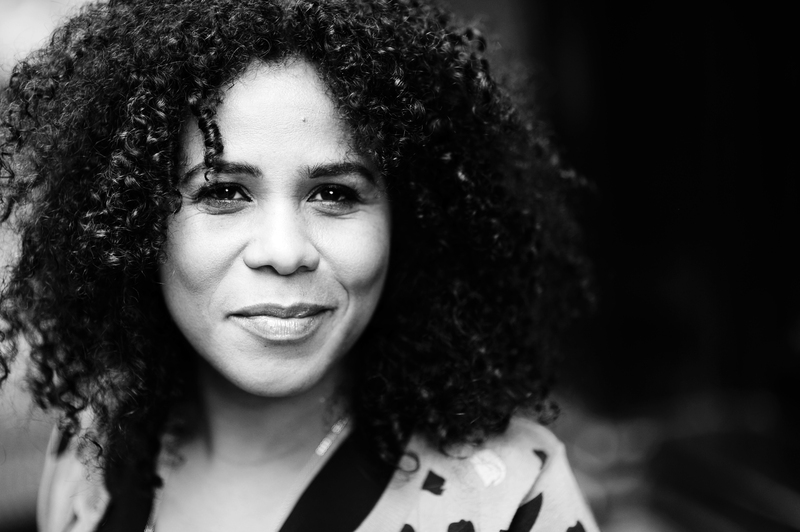 After the success of the album presentation on January 18, Lilian Vieira is off to tour the rest of the Netherlands . 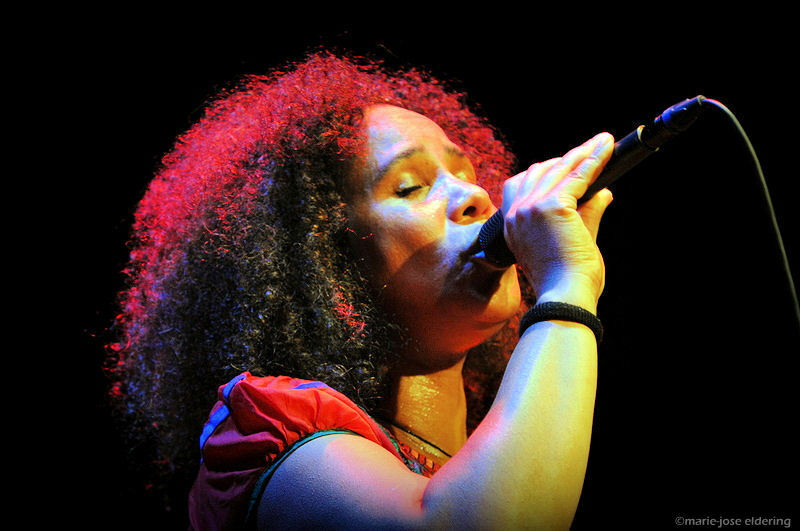 This Friday she will set the stage on fire with her Samba Soul band in Kroepoekfabriek, Vlaardingen. Januari 1, Lilian will give the new year a swinging start by performing a couple of her new songs at the radio show Met Het Oog Op Morgen, Radio 1. So be sure to tune in between 11 and 12pm. As always the Radio 6 program Mijke’s Middag presents the best live soul and jazz the Netherlands have to offer between 4 and 7 pm. This Friday they will be broadcasting live from Compagnie Theatre, Amsterdam and it’s Lilian Vieira’s turn to set the stage on fire! You can either tune in at 4pm or you can visit the theatre and see it for yourself. Tomorrow between midnight-02:00, Lilian Vieira will appear live at Casa Luna on Radio 1. She will be interviewed and even perform live a couple of songs from her new album. Her enchanting voice will show you why they call this time of night the bewitching hour. 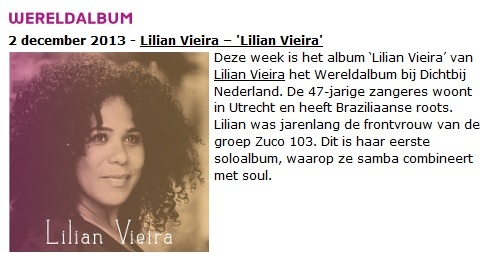 Lilian Vieira World Album of the Week! Every week the show Dichtbij Nederland on radio channel Radio5 chooses a World Album of the Week. 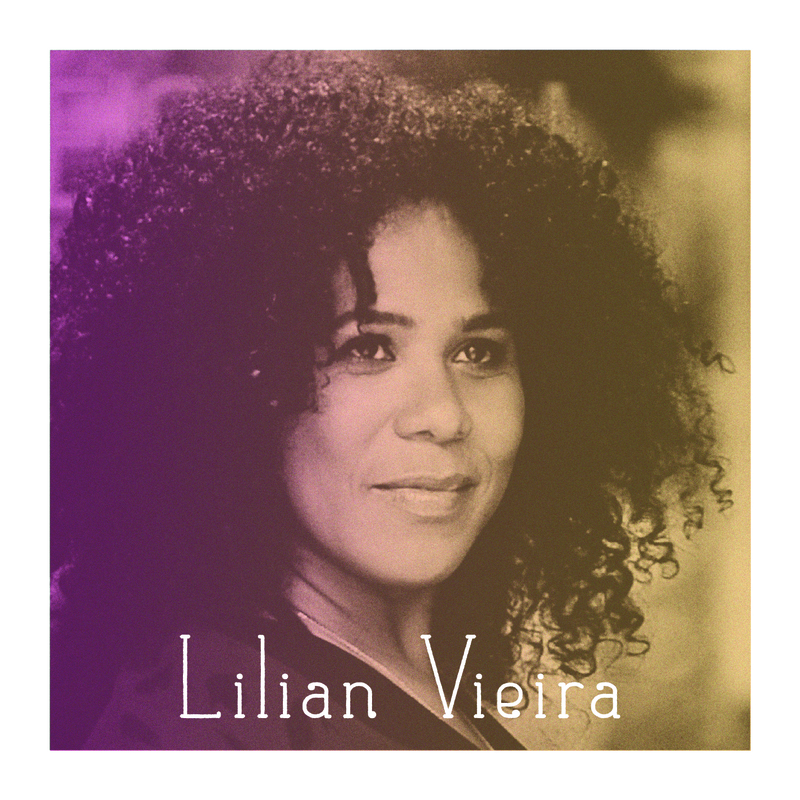 We are very proud to announce that this week it’s none other than the solo album of our very own Lilian Vieira! Album Lilian Vieira Solo is available for order! 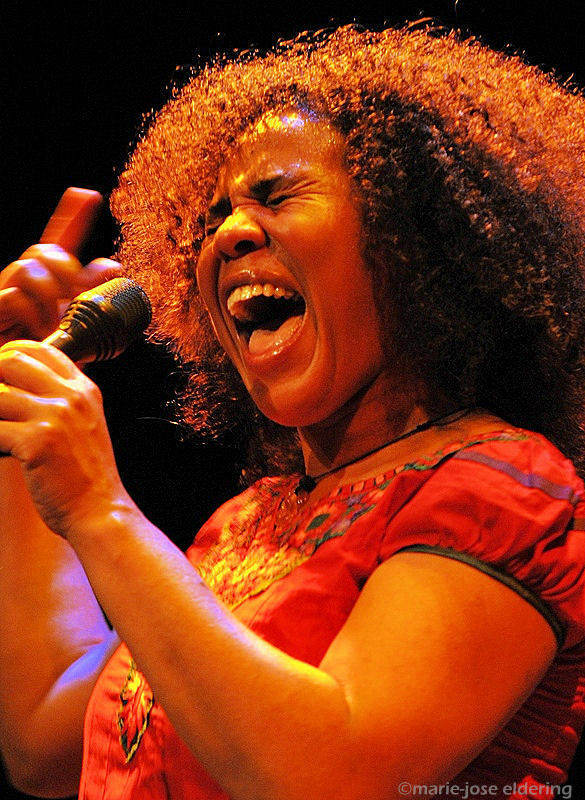 Lilian Vieira her first solo album brings you her own interpretation of Samba Soul. You can listen to the first single LONGE on SoundCloud and YouTube. And the album is available for order on iTunes and Bol.com. A real must have for lovers of Brazilian music. Order now!